Infrastructure development has been one of the main concerns of Internet promoters. It is usually posited as one of the key obstacles impeding universal access to the global network. 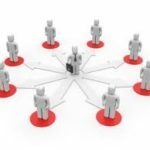 Digital divide concerns and calls to connect the next billion are perhaps the best-known examples of such worldview. For the record, this is not an Internet-only issue. Many technologies face a similar conundrum and few, such as radio and television, can claim almost universal access. Mobile technologies, touted by some as the fastest spreading technology ever, are still struggling to reach such goal. 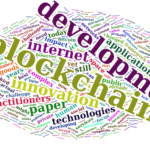 The issue of technology diffusion is undoubtedly much more complicated than just infrastructure development. Indeed, it is a multidimensional one that involves many variables and parameters. In this light, the Inclusive Internet Index (3I), commissioned by Facebook and undertaken by the Economist Intelligence Unit, is a step forward in this direction. First published in 2017, 3I now covers 100 countries and uses both primary data and a random sample survey to capture the perception of actors on various aspects connected to Internet diffusion. The index has four main pillars – Accessibility, Affordability, Relevance, and Readiness. In turn, each of them has several subcomponents that provide the data that generates the score for each. Infrastructure is part of the Accessibility pillar alongside usage, quality of access, and the reach of the electricity grid in urban and rural areas. It is comprised of: the spread of wired and wireless networks; the number of IXPs in the country; and the support provided by both governments and the private sector to free public Wi-Fi networks. Numbers on user access to the Net via fixed and wireless networks, including broadband connections and mobile subscribers (not users), are part of usage. The latter also includes indicators capturing the gender gap in both Internet and mobile phone access. In this post, I will explore the relation between Internet users and access to the electrical grid. An initial and perhaps common-sense hypothesis is to assume the latter constrains the former for reasons that seem rather obvious. Sure, using a charged smartphone provides access without grid access. But at some point, the device will start screaming for additional juice to continue operations. 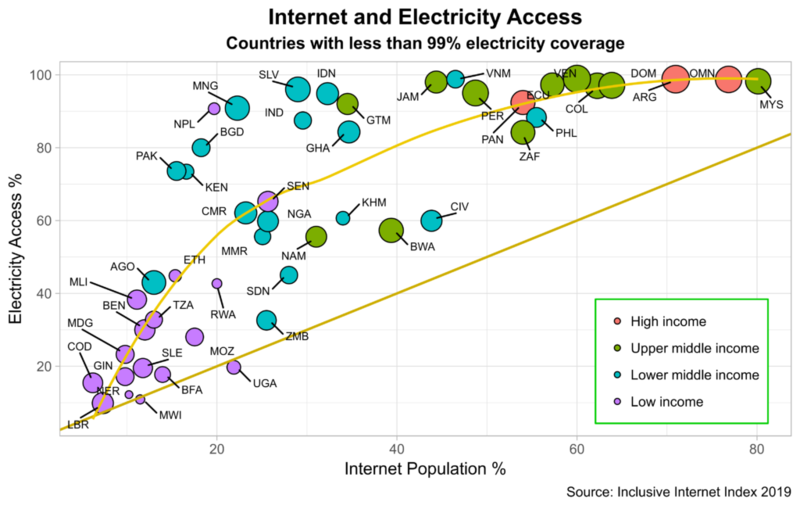 The graph below correlates Internet users with access to the grid in countries where less than 99% of the population have access to the latter. The size of every country bubble denotes the urbanization rate. For example, a bigger bubble indicates a higher degree of urbanization. The 45-degree line in dark yellow shows all the points where the population with Internet access is equal to that having grid access. 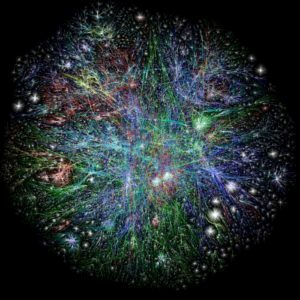 In theory, this should be the ideal state, so to speak, for Internet access – all those with grid access also connect to the Internet. For starters, note that less than ten countries have 50% or more Internet users whereas more than 20 have 50% or more grid access. 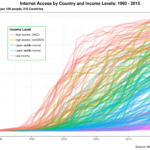 The figure also shows a positive correlation between country income levels and both Internet users and grid access. Higher income levels usually mean more Internet and grid users with some notable exceptions such as Namibia and Botswana. And third, Internet and grid access are also positively correlated, as expected. Indeed, the 3I data yields a 0.79 correlation coefficient between the two which is indeed substantial. Looking more closely at both the data and the graph, we can identify four clusters of countries. The light yellow curve showing the non-linear trend of the country data provides an initial hint. In the upper right corner, we have countries with both a relatively high number of Internet users and grid access no less than 90%. This group includes the only high-income countries captured by the sample for this analysis. The second cluster is in the upper left corner where countries with high grid access have relatively small numbers of Internet users. This set of states are the worst performers as the gap between Internet and grid access is the largest of all clusters. We can easily measure this by seeing the distance between each county bubble and the ideal state 45-degree line. None of these countries reach the 40% Internet population mark. Nepal, the only low-income country in this cluster, leads here but not by much. The third cluster sits right below the former. Here, countries oscillate around the 50% grid access line but only muster middle of the road Internet user numbers. They thus seem to be performing adequately given electrical grid coverage. Ivory Coast shines here, given its income level. 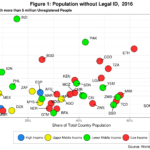 The last cluster is on the lower left corner and comprises low-income countries with the exceptions of Angola and Zambia. Here, both Internet and grid access are small, as expected. Nevertheless, two interesting patterns pop up here. While short in overall access, most of the countries in this cluster are close to the ideal state 45-degree line and closer than many other countries reporting higher incomes. Besides, in two countries, Uganda and Malawi, the number of Internet users is slightly higher than the population accessing the electrical grid. This could be explained by bringing into the picture Internet access via public sites or by users with smartphones that constantly roam to charging stations located nearby. Being that as it may, it is clear that in this cluster, a large portion of the population with grid access is already on the Internet. And here, grid access will eventually become a formidable infrastructure obstacle preventing further Internet expansion, especially in rural areas where a large portion of the local population still inhabits. In most other countries, grid access is not stopping Internet penetration. As the 3I report suggests, there are many other factors at play that can explain the relatively small Internet populations in these nations. Detailed country analysis thus yields important differentiators that should be taken into account when designing policies or implementing initiatives in the name of development. Calls for connecting the next billion, for example, should factor this significant non-Internet infrastructural limitation.